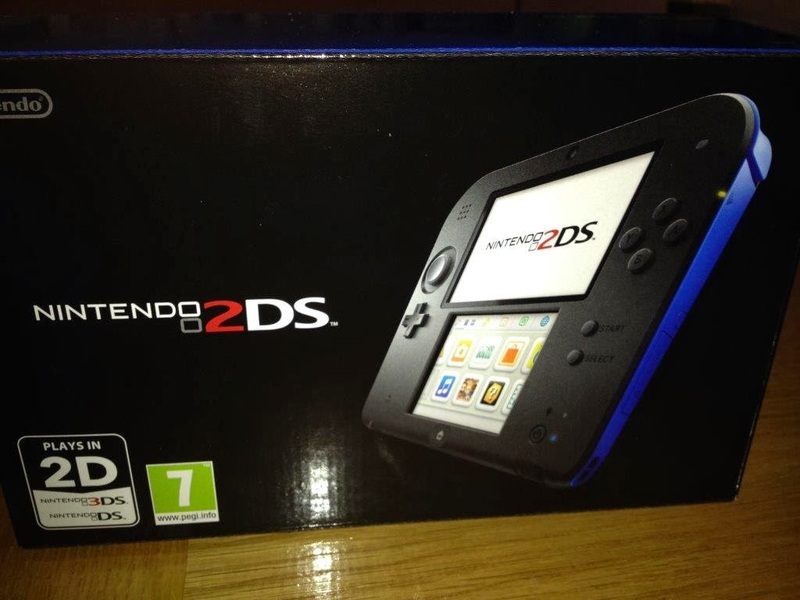 Did you know that Nintendo have released two great new products - Wii Party U and the brand new Nintendo 2DS? We were lucky enough to get the chance to try these out and I thought I'd let you know how fab they are. The Wii U is a new system, similar to the old Wii, but with one major difference. The console now comes with a GamePad controller. This a separate handheld screen, with buttons, which enables you to sit on the sofa and play games while someone else watches the television. I'm not the best at taking in and understanding all the technical data, but you can read all about it by looking at the main Wii U website if you so desire. You can use this GamePad controller like an extra Wii Remote controller, you can view gameplay on both your television screen and the GamePad, you can use the touchscreen to control gameplay on your television, you can use just the GamePad on its own... and it has a built in camera, how cool is that?! Plus it can be used as an internet browser.... total amazeballs! Of course, there are good parental settings so you can restrict who can access what by giving everyone a separate Mii to log in with. 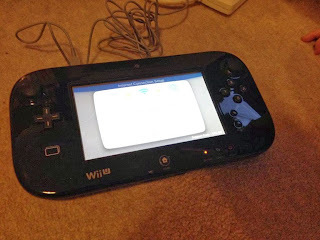 If you have already created your Mii on an original Wii system, the new Wii U can very cleverly import all of this information at the touch of a button - more amazement here (we're easily pleased). 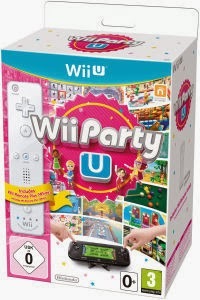 Wii Party U was released which features 80 new minigames that utilise the unique features of the Wii U GamePad. Two players can play games such as Tabletop Football with each other on the GamePad, at the same time. Highway Rollers is a great party game for the big screen, a bit like a board game but with a modern twist! My girls loved it. Then there's House Party games - ones which get you using the space and other options a bit more, like 'Water Runner' where you ladle water from a stream on the GamePad and take it to the jug displayed on the TV. Up to 4 players can participate in that. There's so many other games on Wii Party U that we haven't had time to check them all out yet - 'Name That Face' where you use the camera to catch your expression then challenge others to guess what you were feeling sounds like fun! Our girls are 8 and 6 and could manage to play all of these comfortably without any help. I'm sure even younger children would find much to enjoy on this too. 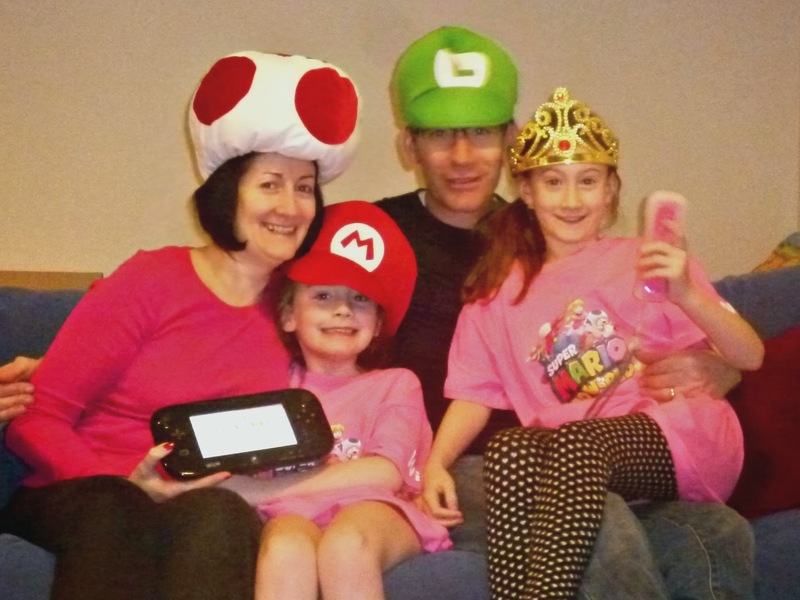 We certainly haven't used the Wii U to its full potential yet but are really looking forward to the holidays and to the chance of trying out even more of those family games! Since receiving the new Nintendo 2DS to trial, our eldest has been almost permanently glued to this console. It's a brand new member of the Nintendo 3DS family, offering an entry price point, without the 3DS screen which some parents find too dazzling for younger children. The main difference with this new console is that it isn't a clam shell case - so the screen is always on display. This seemed a little strange at first, but actually it's a huge bonus as the console feels more comfortable to hold, and the screens are right next to each other so easier to follow. The console comes in black and blue, or white and red. I found a great table which compares the different 3DS family of consoles - much welcomed for a technophobe like me. 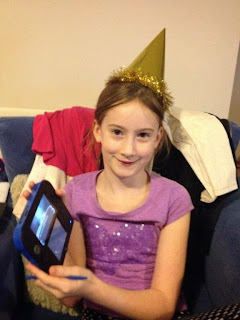 Eldest tested out the game Animal Crossing: New Leaf and is still going strong on it, finding new things to do and places to go every time she picks the console up. 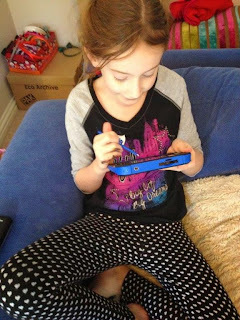 All your old DS and newer 3DS games can be played on this new system too - top marks to Nintendo for recognising that parents can't afford to shell out all over again for the old favourites! Disclosure: we were sent these products to test but have not received payment. All views expressed here are completely our own, and we always give honest feedback for the benefit of our readers.